One thing you can say about Apple: they don't do launches as half measures. 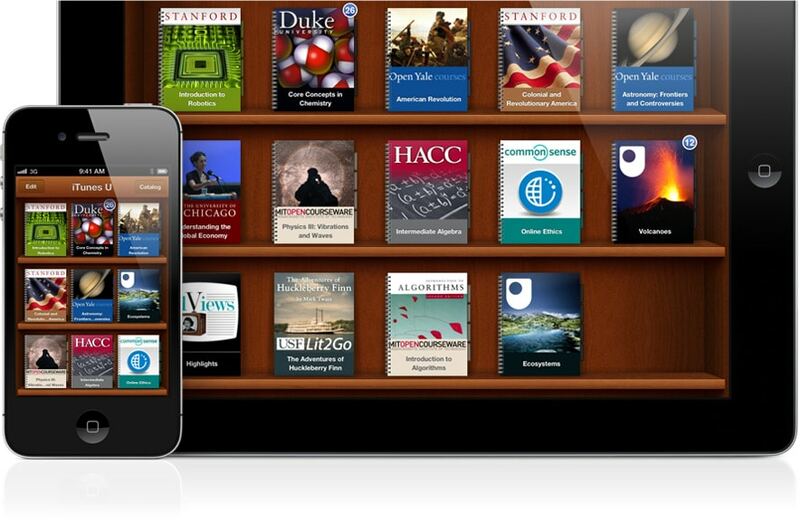 In addition to the new iBooks, Apple also announced today that iTunes U, their educational audiobook and video section of iTunes, now has its own app. The app was actually released yesterday, but clearly we all missed it. Now that I'm looking at it, I can see that it's a lot more than the old iTunes U. The few times I'd looked t it before, it appeared to be just an iTunes section for educational videos. Now it is a complete educational app. You can use it to use 1 of 500 thousand recorded lectures, videos, books, and other resources on thousands of subjects from Algebra to Zoology. But you can also use it to actually take a course. That includes tracking completed assignments as well as any updates posted by the instructors. This pp also promise integration with the new iBooks. Okay, this is the bombshell of the day. I don't know yet if Apple tried to overturn the textbook cart, but they certainly accomplished that goal with classwork. To be fair, there already was a growing Open Ed movement. But now that Apple is behind it, we could see some real change in academia.